While truisms are wonderfully thought provoking and sometimes funny, sometimes edgy, they are not really words to live by. Rather they are statements about life experiences. Those that last prove how many life experiences are share by multitudes of people. It would be a mistake to make at truism, even one as nice as the one above a philosophy or foundation for our lives. Truisms are too subjective. They are interpreted by whoever lives them. A true and sound foundation is best laid by what our Maker says. He created us and knows what we need to live by. 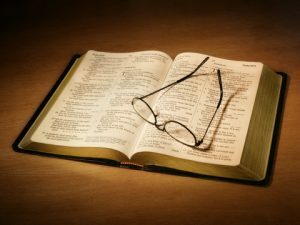 His Word, the Holy Bible is filled with life lessons and make a wonderful and sound foundation for living a fulfilled and blessed life. What are your foundations built on? Solid rock or shifting sands of opinion and sayings? While I enjoy those wonderful truisms, I chose to make my foundation solid on the Word of God.